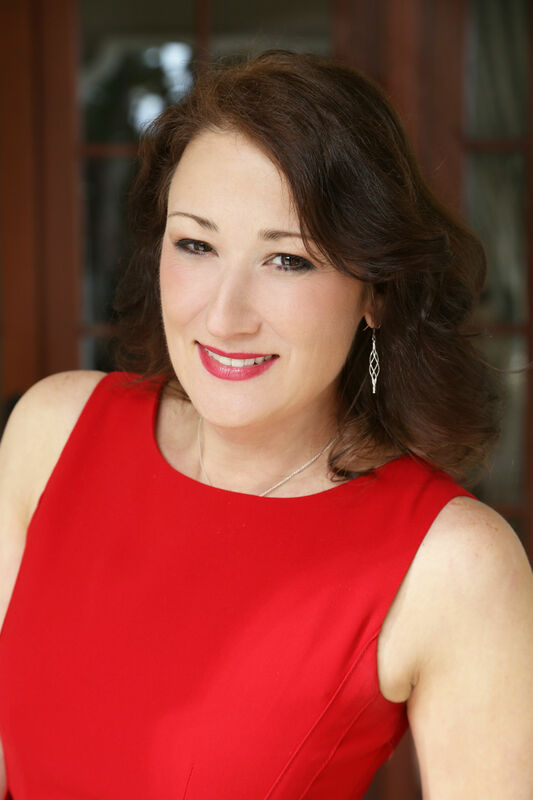 Dr. Kathy Gruver is one of the people you don’t forget, once you’ve met her. She is high-energy, fun to be around and you’ll walk away from a conversation with her feeling a little more empowered. Maralyn and I have known Kathy for years and didn’t realize that until a few years ago. Maralyn had met her through her husband and fellow writer, Michael Cervin, and I had met her as an author and was helping to market her books. At some point, Maralyn and I looked at each other and said, “You mean Kathy Gruver?” We just knew she would make a wonderful addition to our team of contributors here at Luxe Beat Magazine. She started studying massage and natural health over two decades ago. Since then, she has built up an award-winning massage and natural health practice, starred in her own television series, written three books, produced a DVD, lectured all over the country, appeared on Lifetime Television’s “The Balancing Act” and has pursued degrees in higher education. She has written dozens of health and wellness articles, appeared on 150+ radio and TV shows and her first health book, “The Alternative Medicine Cabinet“, was selected as a winner of the Beverly Hills Book Awards and a finalist for the IndyExcellence Awards. Her latest, “Conquer your Stress with Mind/Body Techniques”, has won the Beverly Hills Book Awards, The IndieExcellence Awards and was a finalist for the USA Best Book Awards. She has been featured as an expert in numerous publications, including Glamour, Time, Wall Street Journal, CNN, WebMD, Prevention, Men’s Health, Huffington Post, Yahoo.com, Ladies Home Journal, Massage and Bodyworks Magazine and Massage Magazine. Kathy has written dozens of health and wellness articles and contributing posts. She has appeared as a guest expert on over 200 radio and TV shows, including NPR, SkyNews London, CBS Radio and Lifetime Television, and has delivered over 100 educational lectures around the country. For fun and stress relief, she does flying trapeze and hip hop dance. She earned her PhD in Natural Health and studied further at Harvard Medical School and the National Institutes of Health. She teaches dozens of continuing education hours every year and acts as an expert witness for massage negligence and ethics cases. What inspired you to study and become an advocate for natural health? My journey into natural health was a very accidental one. I started doing massage when I was a little kid. I would sit behind my dad on my car trips and rub his neck so he did not get headaches. My mom got sick when I was nine and died when I was about 18. And though that certainly influences how I practice, it was not what propelled me into this career. I apprenticed with a woman when I was in college and learned to do massage and bodywork and work with herbs and homeopathics. It was at that point I realized I did have a passion for natural health. I studied further in Los Angeles, but it wasn’t until I moved to Santa Barbara and gave up my acting career that I truly found my calling in alternative medicine. How does regular exposure to massage therapy help with someone’s overall health? Massage was not quite enough and I started studying more and more alternative medicine. I earned my Masters and PhD and even studied mind-body medicine at the Benson Henry Institute for mind-body medicine at Harvard. I’m an advocate because of its usefulness. It gives control back to people and offers them options for their health and wellness. There is not just one way to do anything and we are so dependent on Western medicine I would like people to know they have choices. What is the most common reason that your clients come to you for a massage or consultation? Massage therapy is one of the greatest modalities there is and one of the most widely accepted. It helps with muscle tension, headaches, pain (both acute and chronic), hip pain, foot pain, back and neck issues, wrist pain and just about anything you can think of. It also relaxes the entire system, brings circulation to the area, it helps cleanse the body through moving the lymph, and releases feel-good hormones in the brain. Massage therapy activates the relaxation response, which stops the fight or flight response to stress. Most people come to me for massage because they are in pain of one sort or another. Consultations are a little more in depth and cover all aspects of health. I do medical massage, deep tissue and trigger point, so people typically do not come to me to just “relax”. They come to have work done. I work hard to get to the root of the problem and make sure I’m helping the source of their pain or discomfort. I have had a lot of referrals from chiropractors and orthopedic surgeons. Are there a couple of quick health tips you can give to our readers? The greatest thing to keep in your alternative medicine cabinet are herbs and homeopathics that work for you. Nux vomica is great for overindulgence in everything from food and booze to too much fun and excitement. I like echinacea and goldenseal if I’m getting sick. There’s a lovely product called Wellness Formula, which is a vitamin combination for immune boosting. Arnica gel is for bruises and bumps and homeopathic Arnica for the same thing. I love Salon Pas patches for muscle tension and pain. When someone is beginning to put together their own alternative medicine cabinet, what would you recommend for them always to keep in stock? There is a great supplement called BF&C, which is wonderful for structural issues. And you can’t beat Oscillococcinum for cold and flu. Yes, the very first thing is to know your body. We can describe what is going wrong in our cars, but oftentimes can’t pinpoint the issues in our own body. If we take a minute to see how we feel when we are healthy, we will then be able to identify when something is wrong. Then, learn to communicate that to your practitioners, whether someone like myself or your Western medical physician. Identify your stressors and do your best to decrease them. Stress response is going to weigh heavily on every aspect of our lives. The other thing is try to cut out anything artificial as far as your diet goes. High fructose corn syrup, artificial sweetener, genetically modified foods are really wreaking havoc on our health. I also believe so many of these fake foods are contributing to our epidemic of obesity and diabetes. Soda is one of the worst things you could be putting in your body, both diet and regular are terrible for us. You can see an almost immediate boost in health when you cut out those foods. You’re the author of several books, what is your writing process? Books I have written thus far are conglomerates of things I had already written. The Alternative Medicine Cabinet, my first book, is a collection of articles, papers and projects that I have done over the years. My second two books, Body Mind Therapies for the Bodyworker and Conquer Your Stress with Mind-Body Techniques, were based heavily on my dissertation when I did my PhD. I have been lucky to this point that I already have so much information in place, so they were pretty easy to convert into full books. I’m also thrilled that 2 of my books have won multiple awards. One thing that all my books do have in common is the elaborate index. I want to make it incredibly simple for people to find the information that they need in my books. Do you have any new titles on the horizon? I do. I’m actually working on my fourth book. I am finishing up a hypnotherapy program and as soon as that is done, the new book will be in full swing. It is more a story of my personal journey as a healer and the different techniques that I’ve incorporated throughout my life to help myself and others heal. I’m very excited about it. You do a lot of traveling as a speaker and for your work, when you get the chance to pick your own travel destination, what is your favorite getaway? There are so many places I have visited, but I would like to get back to, for example, England. But for right now, my favorite getaway is someplace new that I’ve not been before. I just recently went to New Orleans, which was high on my list for many years. If I have to pick a place to go for fun, I would probably have to do Greece and Rome next. In your current career path, is there a moment that was more exciting than any other? One of the most exciting moments for me was being featured on a billboard in Times Square in New York City. When I found out I got selected, I was absolutely over the moon. I did not get to travel there to see it, but I have a fabulous photo. I’ve been lucky in that I’ve had a lot of fabulous opportunities. I was featured in an article in Glamour Magazine Spanish. And being on the set of my TV series was mind blowing. Though truly nothing beats day-to-day interaction with people who are in pain that I am able to help. When my cancer patient grabbed my hand and said he couldn’t have made it this far without me, how can I not be moved by that and honored? Free time, right, I remember having some of that. I don’t get much free time and that is of my own making. There are so many things I want to do and accomplish, I just keep going and going and going. I love spending time with my husband; we are very into food and wine and that’s incredibly important to me. The other thing I make time for is to dance four or five days a week. I have an incredible hip-hop teacher who is amazing. And I do flying trapeze two or three times a month down in Santa Monica. That has become something I’m quite passionate about and really enjoy doing. I love spending time at the Magic Castle, enjoying magic and getting dressed up. And there’s nothing like spending time with the kitties. I always take my pillow, a golf ball and lots of business cards. The pillow is self-explanatory. The golf ball might confuse you a bit, I use that as a self-massage tool. I can roll my feet on it or put it under that knot in my back that aches. As far as the business cards go, I feel like when you’re running your own business, you always have to be on and present and “at work”. I actually met a woman at the Van Halen concert for whom I ended up doing some speaking. You never know when the opportunity to help will pop up. It’s really exciting to be on the beginning stages of such a fabulous magazine, one that regards quality and style above all else. I am happy to be a part of it and keep up the good work. To learn more about Kathy, go to www.kathygruver.com.